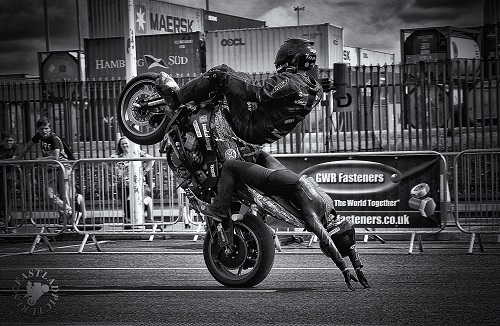 2014 marks the third year of GWR Fasteners Limited sponsoring Extreme Events Europe Limited, a world-wide touring stunt show. Think monster trucks, motorbikes, motorcycles and lots of other vehicles. To find out if they are touring near you, check out their website EXTREME EVENTS EUROPE. You can also watch the Extreme Events Europe VIDEO showing some of what they get up to. 2014 sees the year when Gavin Murray takes to the tracks for the Pickup Truck championships and this is our first year sponsoring the MURRAY MOTORSPORT team. We wish Gavin and the whole team much luck during the racing season.